The power of social media is undeniably revolutionary, dynamic, and essential for grassroots organizations. Decades of work from around the world to educate, advocate, and ultimately ban asbestos has culminated in the creation of a new social media based community effort called the Global Ban Asbestos Network (GBAN). GBAN is a non-profit and independent initiative established to promote and facilitate collaboration, communication, and action to achieve a global asbestos ban. 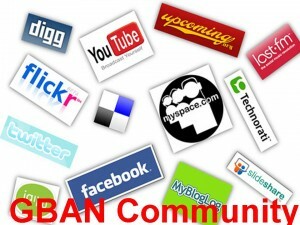 GBAN is being launched two months earlier based news and need, and will continue to add additional Charter Members representing their country and content to our website. Our connected social media resources will pioneer innovative methods to improve the efficacy of grassroots efforts to combat the global asbestos threat. The Facebook page was the first part of the network and has hundreds of followers already within just a few weeks. GBAN is proud to introduce the first 24 Charter Members representing 17 countries who have joined in solidarity and support. Initial charter members will be joined by other leading ban asbestos individuals from across the globe as GBAN rapidly expands. Each Charter Member can regularly contribute content to the site, providing an additional one-stop resource representing the world’s preeminent asbestos authorities. Technology allows the GBAN website portal to translate postings into nearly 60 different languages. In addition, visitors will be able to utilize a variety of social media programs including Twitter, LinkedIn, YouTube, and Picasa Photos to post comments, pictures, videos, etc. while easily sharing information with the click of a mouse. It’s exciting to look at how all of our global efforts are now coming together through this kind of extensively linked social media network. GBAN is a strong and powerful reminder that the voices of ban asbestos advocates are truly united. GBAN was founded by the Asbestos Disease Awareness Organization (ADAO) and the Brazilian Association of the Asbestos-Exposed (ABREA). This entry was posted in Blog and tagged asbestos, asbestos ban, asbestos-related diseases, asbestosis, ban asbestos, cancer, community, education, facebook, GBAN, Global Ban Asbestos Network, linkedin, Lung cancer, media advocacy, mesothelioma, social media, twitter, website. Bookmark the permalink.